Rowling largely operates Harry’s generation in a clear system of parallels to the previous generation, Marauders and all. Harry is his father—Quidditch star, a little pig-headed sometimes, an excellent leader. Ron is Sirius Black—snarky and fun, loyal to a fault, mired in self-doubts. Hermione is Remus Lupin—book smart and meticulous, always level-headed, unfailingly perceptive. Ginny is Lily Evans—a firecracker, clever and kind, unwilling to take excuses. Draco Malfoy is Severus Snape—a natural foil to Harry, pretentious, possessed of the frailest ego and also deeper sense of right and wrong when it counts. And guess what? 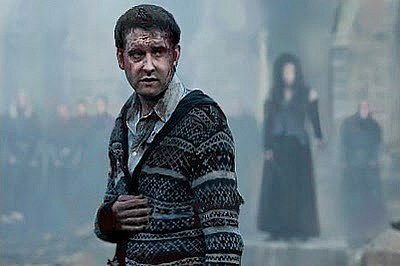 Neville Longbottom is Peter Pettigrew. An extended 14 minute preview of the upcoming Game of Thrones Season 4. Can’t wait!